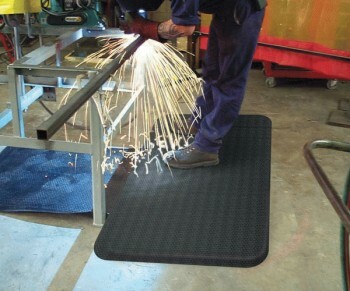 Durable anti-fatigue matting designed for welding and other industrial applications. Rubber is spark resistant and resists common fluids and most chemicals. 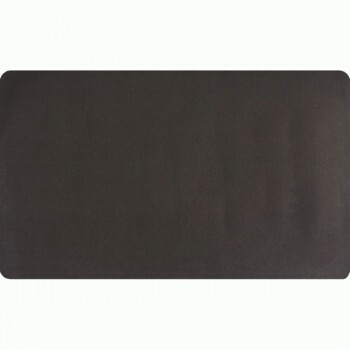 3/8" closed-cell foam base bonded to an 1/8" rubber surface provides all day relief from fatigue. Rubberized wear-surface outlasts other wear-surfaces. Less than 1% loss (per ASTM D3884; 1000Gram load; 1000 cycles). Model No: Avg Size Wt. (lbs) Price Ea. Model No: Avg. Size Wt. (lbs) Price Ea.